Thanks to everyone that was involved in Mt. Moriah‘s 70th Anniversary Black Tie Gala, especially Tracy Ashley. The event served multifaceted purposes—to bring awareness to our 70-year existence, to share information regarding the state of our Lodge and to reintroduce Freemasonry back into the community. My personal thanks is extended to all members for your vote of confidence in me to lead the Lodge during 2018. Serving in this position has added value to my life and has been a rewarding and wonderful experience. So, if we ever meet, act or part. I would like to take this opportunity to thank you all for granting me the honor of serving as Senior Warden this past year. We had some rocky moments while preparing for our work, but our ritual was excellent for the most part. We conducted a lot of degrees, and I hope everyone enjoyed putting them on as much as I did. This December, should you see fit to elect me as Master of the Lodge, you can expect an installation of officers on the 12th, second Wednesday. Dinner will be served at 6pm, with the meeting beginning at 7pm. I was touched by the 70th anniversary Gala the Worshipful Dennis Ashley hosted on behalf of our Lodge. Thank you to everyone who attended. Now is the time to prepare for your parts next year, my Brothers. There are a lot of petitions for membership in waiting. Let’s make Mount Moriah #39 shine in 2019. Through our Masonic lessons, we learn about the beauty of geometry and how lines, angles, and curves can combine to produce the most aesthetically pleasing results. When on paper, we can make drawings and images that satisfy and delight the viewer. If combined with operative masonry and the correct application of architecture, geometry can produce lovely buildings where every part supports the whole of a stunning edifice. This is also true of the Lodge. Every Mason, from the newest Entered Apprentice in the north-east corner to the 50-year plus member comes together to form one structure of men whereby the sum is greater than the parts. 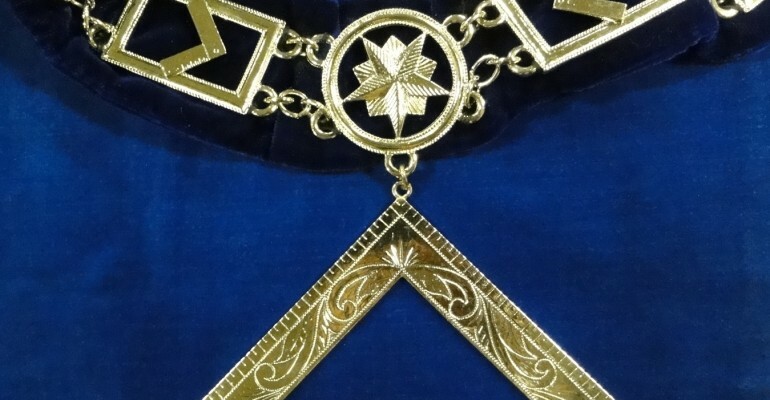 As you progress in your Masonic journey, consider how you can use our Masonic lessons to build a moral and ethical foundation for your own life whereby the sum is also greater than the parts. This is the heart of practicing Freemasonry. I know that this a hard time of the year because it’s the same time when the Lodges and other organizations dues come due, and that’s the hard part is to come up with the funds to pay them before the end of the year, yet we seem to come with what is needed to stay in good graces. When you get a chance, take good look at the finished re-topping of the round tables in then Dining room and much and many thanks to the Lodge members that refinished them. They look great and you can see and converse with those at the table. As you can see, I’ve added our locale Masonic Neighbors that we associate with whenever we are in this building and I thought you should be able to get to know who they are.